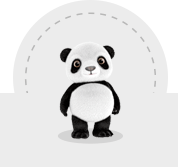 Non-Identifiable Data: When you interact with PandaTree through the Services, we receive and store certain personally non-identifiable information. Such information, which is collected passively using various technologies, cannot presently be used to specifically identify you. PandaTree may store such information itself or such information may be included in databases owned and maintained by PandaTree affiliates, agents or service providers. The Services may use such information and pool it with other information to track, for example, the total number of visitors to our Site, the number of visitors to each page of our Site, and the domain names of our visitors' Internet service providers. It is important to note that no Personal Data is available or used in this process. Aggregated Personal Data: In an ongoing effort to better understand and serve the users of the Services, PandaTree often conducts research on its customer demographics, interests and behavior based on the Personal Data and other information provided to us. This research may be compiled and analyzed on an aggregate basis, and PandaTree may share this aggregate data with its affiliates, agents and business partners. This aggregate information does not identify you personally. PandaTree may also disclose aggregated user statistics in order to describe our services to current and prospective business partners, and to other third parties for other lawful purposes. Agents, Consultants and Related Third Parties: PandaTree, like many businesses, sometimes hires other companies to perform certain business-related functions. Examples of such functions include mailing information, maintaining databases and processing payments. When we employ another entity to perform a function of this nature, we only provide them with the information that they need to perform their specific function. Legal Requirements: PandaTree may disclose your Personal Data if required to do so by law or in the good faith belief that such action is necessary to (i) comply with a legal obligation, (ii) protect and defend the rights or property of PandaTree, (iii) act in urgent circumstances to protect the personal safety of users of the Services or the public, or (iv) protect against legal liability. PandaTree takes reasonable steps to protect the Personal Data provided via the Services from loss, misuse, and unauthorized access, disclosure, alteration, or destruction. However, no Internet or email transmission is ever fully secure or error free. In particular, email sent to or from the Services may not be secure. Therefore, you should take special care in deciding what information you send to us via email. Please keep this in mind when disclosing any Personal Data to PandaTree via the Internet.